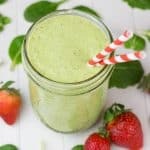 Pineapple Spinach Green Smoothie recipe with Chia seeds is a great healthy idea for breakfast, lunch, or a workout. After the long and happy holiday season I feel like it is time to detox our bodies from all the rich food consumed from Thanksgiving through New Year’s. Although it is sad that this beautiful season is over, it gives us a perfect opportunity to evaluate the past year and make new upcoming plans and resolutions. I know that for me this years will be very busy and happy. One of my resolutions for the new year is to keep a better balance between my work, personal life, and health. I want to start eating healthier food (or I should say balanced food) and be more active. January is a perfect month to start sharing more healthy recipes that can nourish our body. When I want to detox and cleanse my body from heavy and fatty foods, I like to make lots of smoothies (particularly green smoothies). They are perfectly light, filling, healthy, and packed with vitamins and nutrients. My favorite one is Pineapple Spinach Green Smoothie with Chia Seeds. It has a perfect combination of tart and sweet flavors. 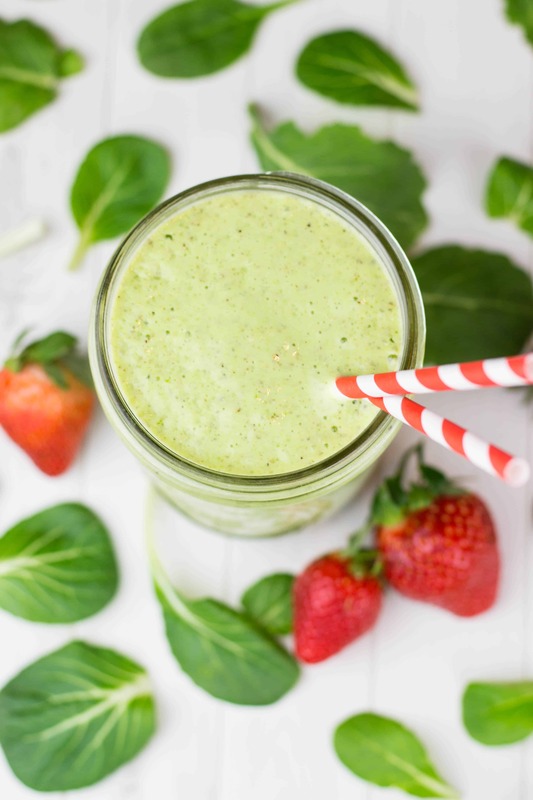 For my simple green smoothie recipe, I like to use whole milk, it makes it extra creamy and rich. Although, if you try to avoid milk, you can easily substitute it with almond or coconut milk. Chia seeds became a popular superfood in the past few years for the following reason. These fascinating seeds are packed with omega-3 fatty acid, antioxidants, fiber, protein, and minerals. Originally from Mexico, chia seeds used to be so valuable, they were used as a currency. In Mayan language, “chia” means “strength”. They was popular among Aztec warriors, who consumed chia seeds in their meals which helped them to boost their energy and endurance. Also, this super food helped them to fuel their bodies during battles and long distance runs. Many years later, scientists proved that chia seeds benefits are not limited to just providing a source of energy, but also improve the texture of your skin, reducing signs of aging, and supporting the heart and digestive system. 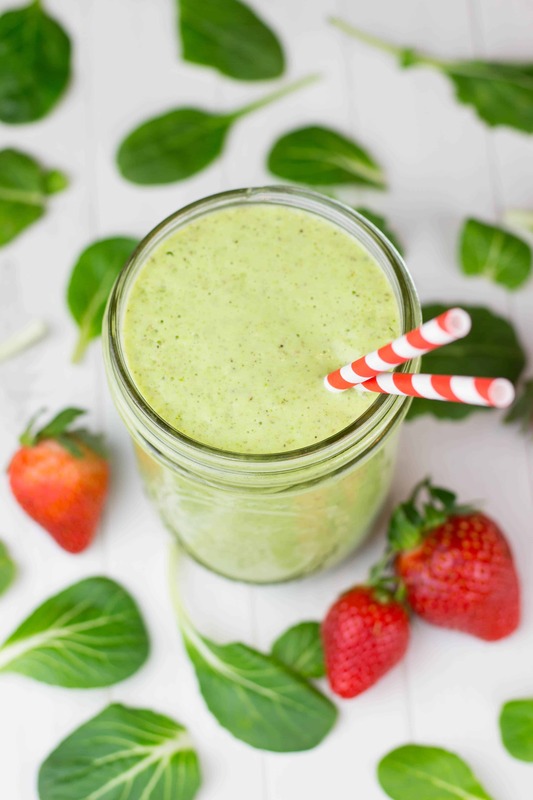 Just with a few ingredients and under 10 minutes, you can make a delicious and nourishing green smoothie. All you need is to put all the ingredients in a smoothie blender and blend until it is well incorporated. Sometimes, I like to put a little bit less milk for thicker consistency, and make a smoothie bowl with it. Jus top it with fruits and berries of your choice and enjoy! Put all the ingredients in a smoothie blender and blend until it is well incorporated. This smooth sounds delicious! I did not know that background about chia seeds meaning strength but that is really cool to know! I’m going to have to try this this week before my workout! I love spinach smoothies, but I’ve never tried adding pineapple before. We always have lots of fresh pineapple on hand (it’s my toddler’s favorite fruit) so I can’t wait to give this a try tomorrow morning! This sounds so refreshing and exactly the kind of recipe I’ve been looking for! I can’t wait to give it a try! What a beautiful smoothie! I love that you provided detail on the chia seeds! So informative! How amazingly healthy is this recipe! I can’t wait to try it! Kiwi is such a fun addition here. I love chia seeds but tend to sprinkle them on things like parfaits or cottage cheese, but putting them into smoothies is a great way to use them! This looks like a great combination all the way around…I am always looking for a new and easy green drink..I’ve got your on my list! 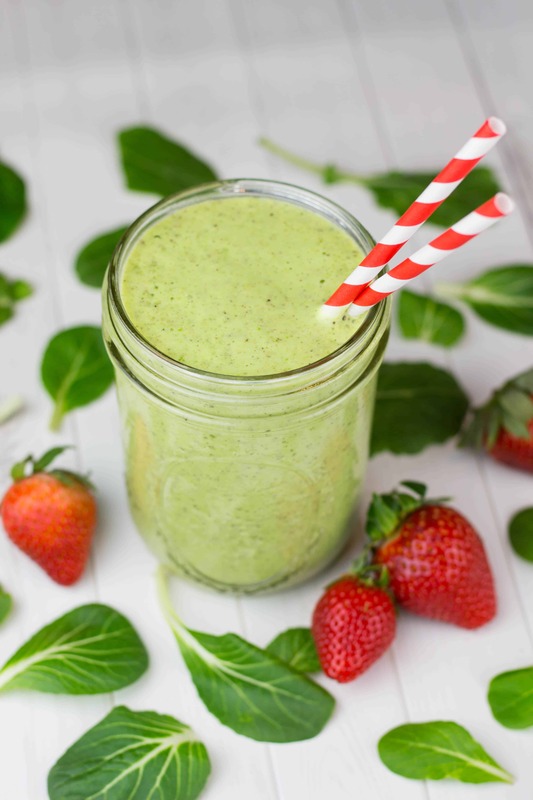 I’m a fan of smoothies almost any time of day, and it’s great to switch up my “regulars.” I try to eat a lot of spinach (for a number of reasons), so this recipe looks particularly appealing! Pinning! I’m always looking for new smoothie recipes to switch up my mornings and this sounds like just the thing! I love that you included chia seeds. They’re my favorite smoothie addition! This is my kind of breakfast! I love the history of the chia seeds! Thanks for sharing. I have never used kiwi in my smoothies or pineapple for that matter. I get stuck on just using berries and bananas! 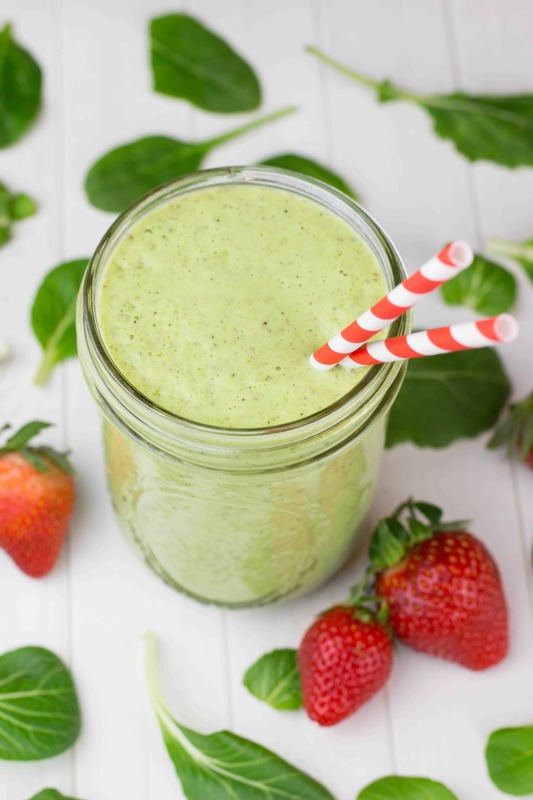 Your green smoothie looks fabulous and delicious and I can’t wait to try it! !